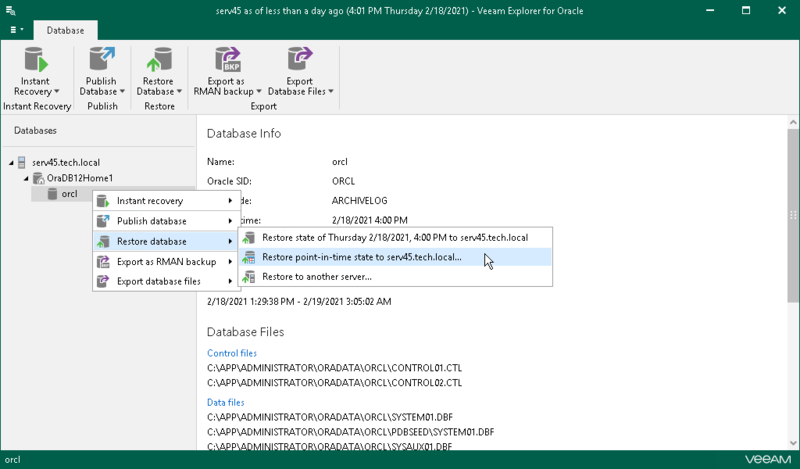 In the navigation pane, select a database or Data Guard. On the Home tab, select Restore Database > Restore point-in-time state to <server_name> or right-click a database or Data Guard and select Restore point-in-time state to <server_name>. When restoring to point-in-time, make sure that ARCHIVELOG mode in enabled.